What are the Precautionary Steps to Set up a Company in Indonesia? Indonesian economy as is a booming and it accounts for over 50% of the population in the ASEAN region. With Indonesia being the fourth most populous country in the world, it had attracted many foreigners that seek to expand their business activities in Indonesia. Many foreign investors had successfully set up a company in Indonesia but there were many that failed as they had failed to satisfy some basic requirements to set up a company as a foreigner. This article will give you a better understanding of the precautions foreign investors should take into consideration and satisfy prior to the incorporation of a company here in Indonesia. First, you have to check whether your business activity is open in Indonesia in accordance to the Negative Investment List or DNI (Indonesia investment guidance) under the Presidential Decree No. 39 of 2014 that stipulates sectors which are closed and open with conditions to investment. To plan out the suitable paid-up capital of a company, foreigners should think of the size of the team that is going to be working in that company. 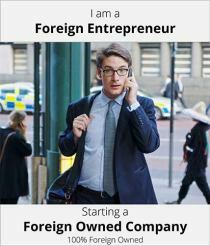 Foreign investors should also figure out what kind of company they want to set up, be it a Local Company, PT or a Foreign Owned Company, PT PMA or even a Representative office prior to incorporation of a company in Indonesia. It is compulsory that any company in Indonesia has to pay taxes and report the company’s financial status regularly. When a foreign owned company, PT PMA has domiciled in Indonesia, it will be treated as Indonesian tax resident and thus, the company has the obligation as a resident taxpayer. The taxation regulation in Indonesia incorporates both a self-assessment system and a withholding tax system. On the other hand, investment reports must be reported by every PT PMA company on its investment activity. When reporting an investment report, the deadlines varies as it depend on what stage the business was in. What is the Negative Investment List? Why do I need to refer to it for company incorporation? Why is the paid-up capital requirement so big for PT PMA companies? What is the duration for a company registration in Indonesia? With the help from us here at Paul Hype Page, our trusty and experienced Corporate Specialist will be able to assist you with any confusions occurred to help you stay in compliance with the Indonesian regulations. Bahasa Indonesia is Indonesia’s official language that is used for both business and education. Though English is spoken by many in Indonesia, it is less so outside its major cities in the rural areas. That being said, many business owners and foreign workers may like to consider taking lessons in Bahasa Indonesia as a many of the Indonesian regulations are still stated in Bahasa Indonesia. In addition, more than 700 indigenous languages are also spoken across the archipelago, such as Javanese, Sundanese or Madurese.